A solid understanding of your field can give you an edge. You can spot opportunities (and act on them), focus on developing in-demand skills, and anticipate future trends. 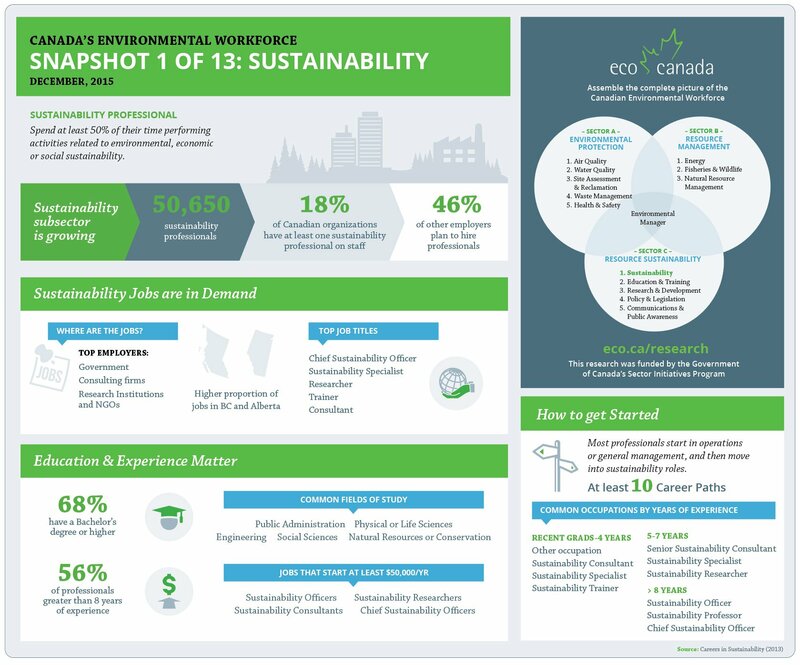 ECO Canada has spent over 20 years conducting labour market research for environmental employees and employers — our detailed reports contain the kind of data that helps them plan for the future or be responsive in the present. So we’re excited to share our research in a new way: monthly snapshots. These infographic reports cover a different environmental sub-sector each month. You’ll get a look at the facts and trends we’ve discovered as we conduct our research in a quick, easy-to-read format. It’s one of the fastest-growing fields in the Canada, and yet many professionals don’t know enough about it to take advantage of the opportunities on the horizon.